For several people, including myself, this event started with a four and a half hour delay in Atlanta due to severe thunderstorms. 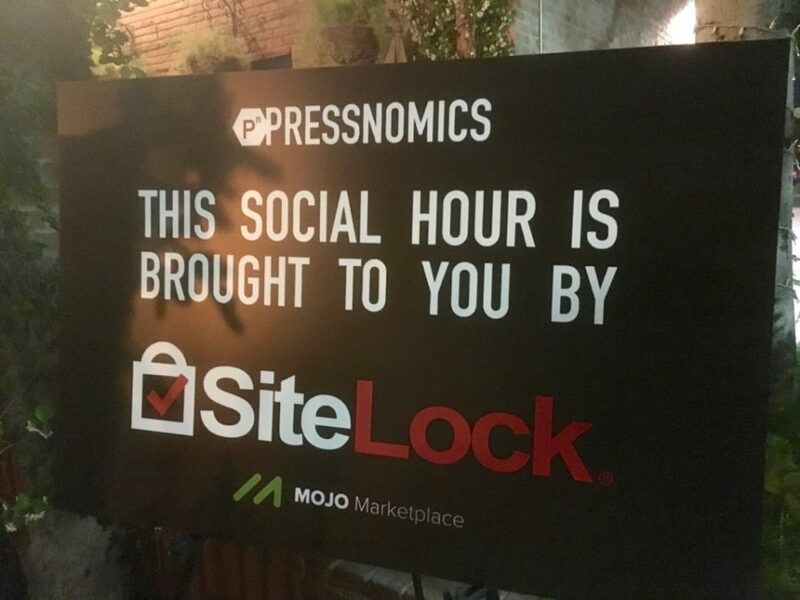 Luckily, I arrived just in time to help host the planned social hour, which SiteLock also sponsored. This networking event was ideal for meeting new people and having great conversations. 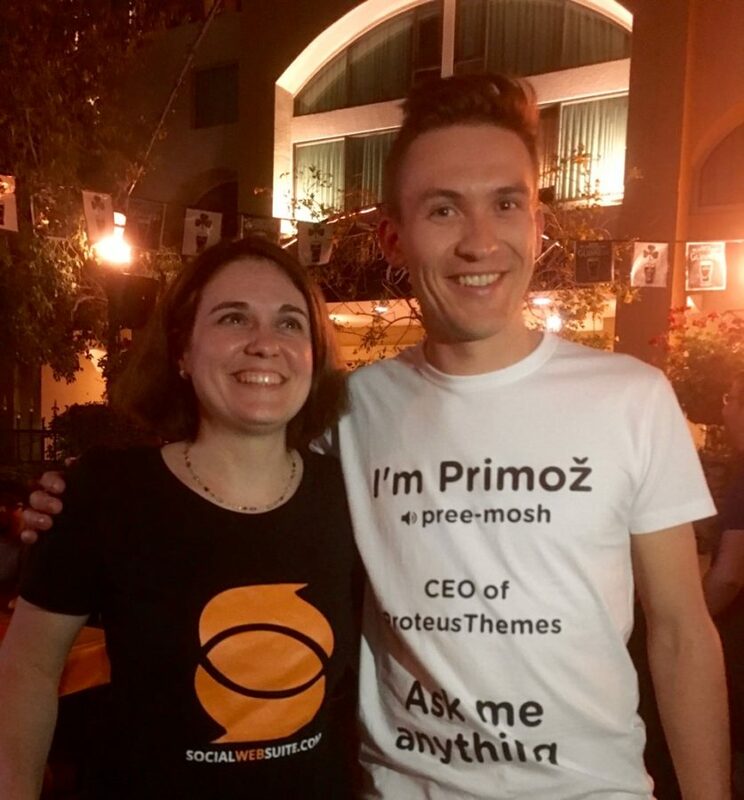 There was no shortage of branded t-shirts at this event, as evidenced by Tina Todorovic of Social Web Suite, and Primoz Ciglar of Proteus Themes. Ciglar earned my personal award for best branded t-shirt, complete with the pronunciation of his name. 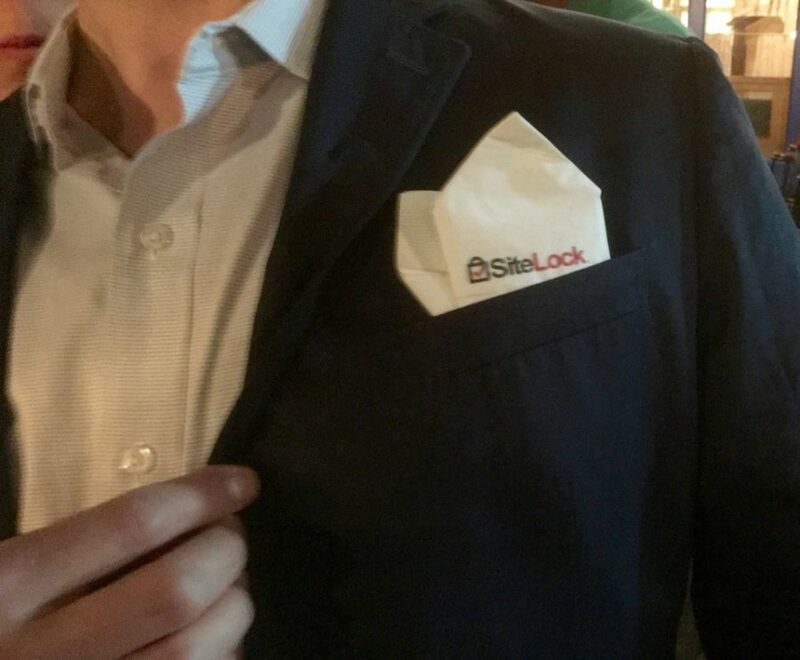 Speaking of clothing, not to be outdone but someone thought my blazer needed a bit more branding flair and folded my very own SiteLock pocket square from one of the table napkins. Pretty nifty, huh? In addition to sponsoring the social hour, we also manned a table, which happened to be right next to the coffee (always prime sponsor real estate). Even more notable, is that the conversations we had about security were different from the other WordPress events we attend. Many of the discussions focused on how SiteLock solutions can integrate with other business offerings for the benefit of end users, as well as how SiteLock can add value to any business. Before we dive into all the great sessions, I want to give you a little background on PressNomics. PressNomics was created by Joshua Strebel and Sally Strebel more than five years ago. Joshua started Pagely, the enterprise-grade Managed WordPress Hosting platform. If you’re doing business in the WordPress space, this is the don’t-miss conference of the year. PressNomics is also a “not-just-for-profit” event and each year several charities benefit from this event. This is a subject that’s near and dear to SiteLock, too. PressNomics is unique in that there is only one track each day, with back-to-back sessions. Lucky for the attendees, you don’t have to choose one presentation over another. Lawdan Shojaee shared the story of the #ItWasNeverADress campaign, how it came to be, how it went viral, and how getting political with your business brand is a difficult decision. The main takeaway from her presentation was the importance of following your passion in order to be successful. Andrew Norcross used Sam Rami as an example of perseverance in his presentation. He told the story of how Rami had some early success with 1980’s era films like Evil Dead and its sequels, Evil Dead 2 and Army of Darkness. Rami continued making films, though none of them saw great success. It wasn’t until 2002 when Rami saw major success again with Spider-Man. Norcross’ message, “continuing to show up,” can be the critical element for putting you in the right place at the right time. 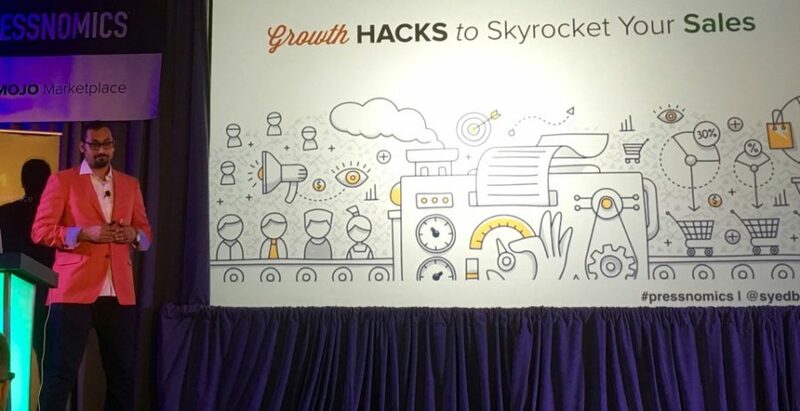 If you’re at all familiar with WordPress, then it’s likely you know Syed Balkhi, the creator of WPBeginner, OptinMonster, and several others. Balkhi started his first website when he was 16, and through those years has learned to measure and test everything. Just as the title of his presentation promised, he shared some great advice and marketing tactics on how to grow your business online. 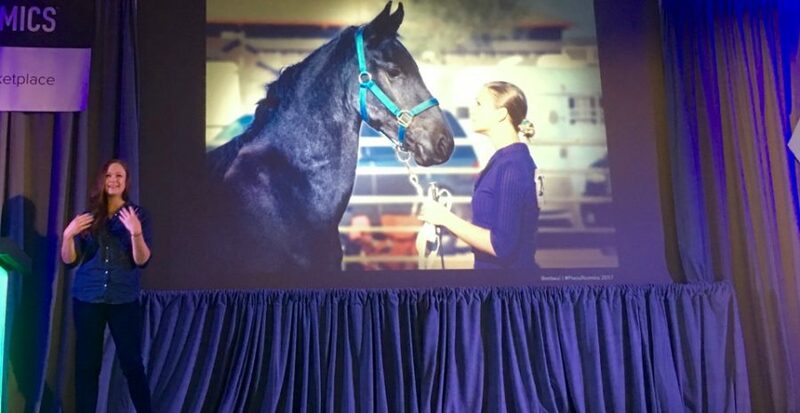 Maura Teal used her background as a professional equestrian rider and the relationship with her horses to help the audience understand her message. Just like equestrian riders do with their horses, developers need to get to know and understand their end users more intimately. Doing this helps you understand and have empathy for the end user, which in turn makes you a better developer, resulting in a better product. 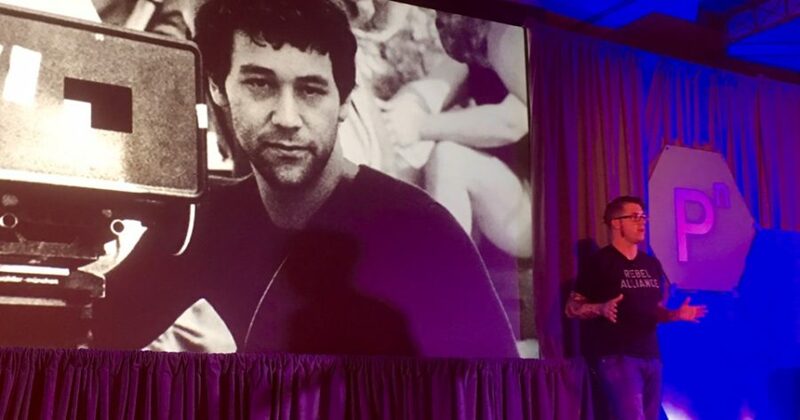 Our very own Neill Feather, president of SiteLock, took a data-based approach to his presentation. He shared what SiteLock has learned about malware since 2008, and from scanning 6 million websites daily. 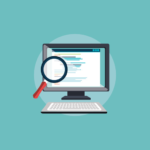 One example of the data shared was that 80% of malware is found within the first 25 pages of a website. 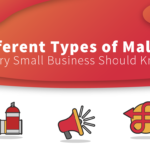 Neill also shared the results of website owner surveys which showed, among other stats, that over 55% of website owners didn’t know what security measures they had in place if any. In addition, we learned how SiteLock uses both indirect and direct customer feedback to drive the business forward. 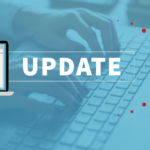 30The takeaway from Neill’s presentation was that business owners are keenly aware of how critical website security is to their business, but they often don’t take the proper measures to ensure their websites are fully protected. 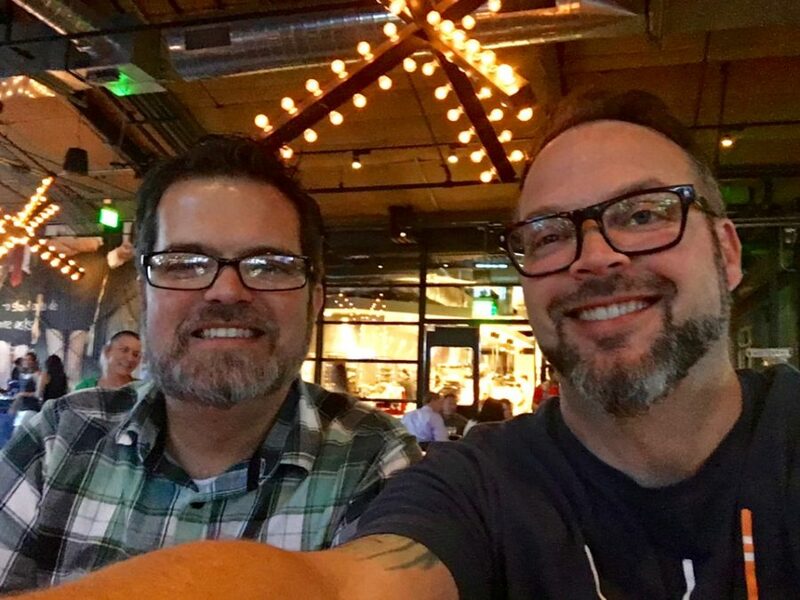 I’ve known Matt Cromwell from GiveWP.com for several years and it’s often joked that we look alike. Since we were in the same location we decided to tweet the question. As expected, PressNomics was a great event. Joshua, Sally and the rest of the organizing team did an excellent job to ensure each session provided high quality, business-focused content and ample opportunities for networking. 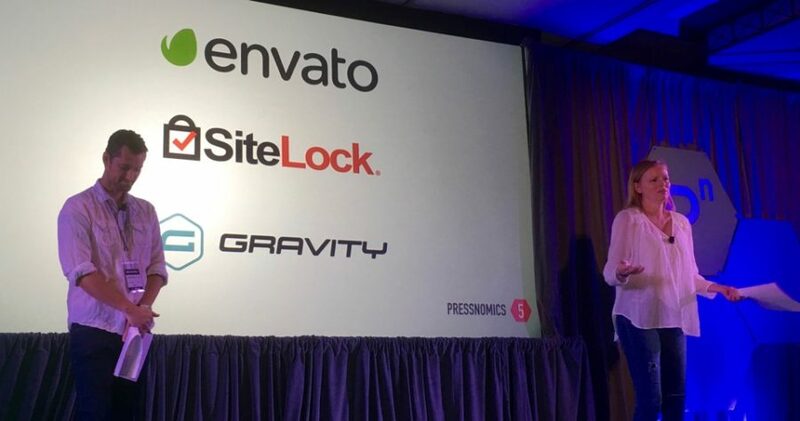 We were able to learn, create new relationships, and solidify existing ones to ensure that SiteLock continues its momentum in the WordPress space. Want to learn more about other WordPress events? 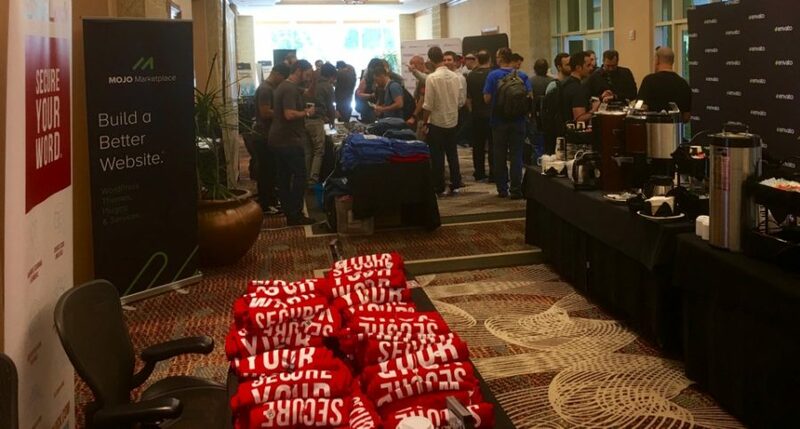 Head over to the District for recaps from WordCamps across the globe.